To install MySQL in Ubuntu, need to have root access to an Ubuntu server. This tutorial applies either to a dedicated server and a cheap vps hosting server. The first step is to login by SSH into your server. During the MySQL installation uou will be prompted for the MySQL root password. Write it down and keep it in a safe place. Now that the installation is completed, MySQL will start listening only for internal connections in localhost on port 3306. 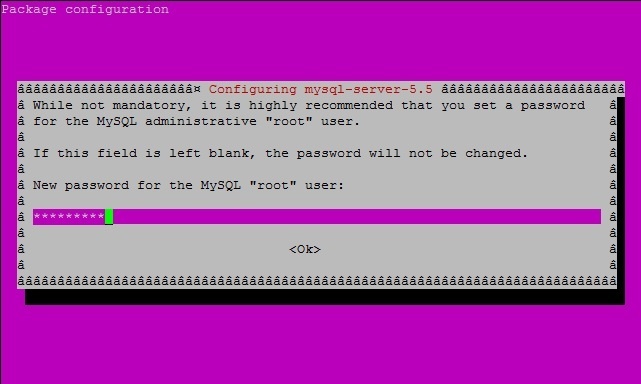 As you install mysql in ubuntu, the remote connections will be blocked. First, we will create a new database. Now we will create a new user. You must replace [password] with the desired password for it. Now the table is created. Some useful comands, are show tables and describe. Show tables will show you all the created tables in the server, and describe will show in details all the fields of a certain table. Keep in mind that by completing the install MySQL in ubuntu task, it will block external connections. You can only connect to your database server from inside your server, unless you enable the remote connections.